People with disabilities such as ALS, spinal injury or Lou Gehrig’s disease, often lose use of their legs, arms or hands. Even at advanced stages of the disease, one may still retain movement in their eyes. Some technologies have incorporated eye-tracking to enable disabled persons to interact with a computer to communicate messages to a caregiver, but the devices are often difficult to calibrate without expert assistance and do not allow patients to express their wishes right away. The University of Texas at Arlington has been awarded a patent for a revolutionary new technology that is able to scan a user’s eye movements and enable them to navigate mobile platforms, such as electric wheelchairs, without the use of hands. The technology would also allow users to communicate to a robotic platform when they would like to use an object, such as a glass of water. “My interest in this technology grew out of seeing how my mother-in-law struggled with eye-tracking devices as an ALS patient,” said inventor Christopher McMurrough, now a computer science and engineering lecturer at UTA. 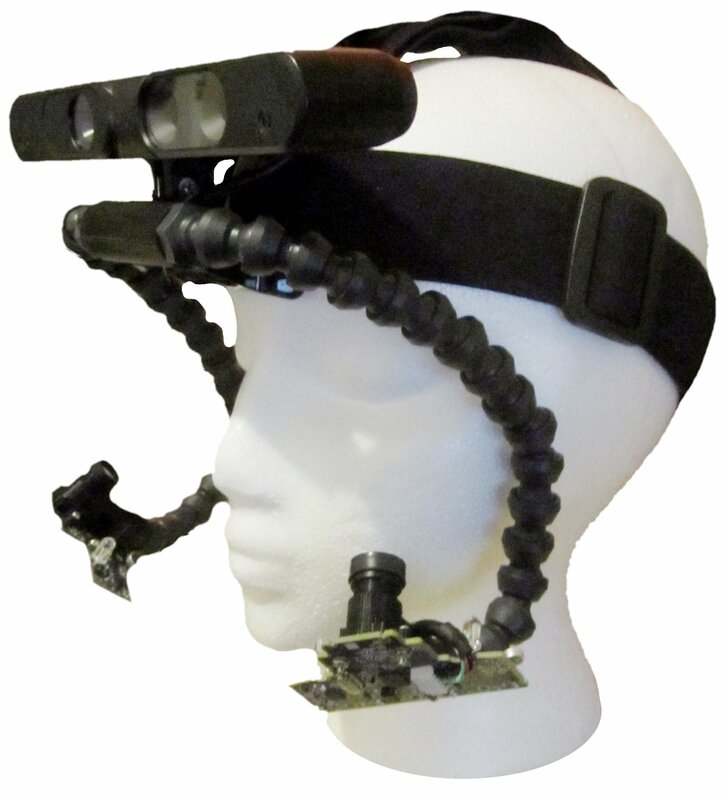 “The latest version of our device can be worn as a pair of ski goggles with cameras on top and eye-trackers embedded in the lenses, making it very easy for patients to use it over long periods of time as it moves with them,” he added. 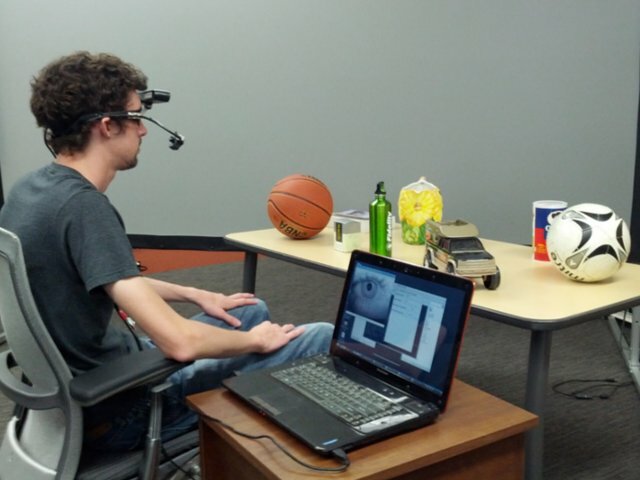 This new technology, called a 3-D point of gaze headset, grew out of McMurrough’s doctoral thesis in computer science and engineering as a student at UTA. The device combines 3-D mapping using a 3-D camera on the top of the glasses, with eye tracking. The data is then fed into a program that models the user’s surrounding environment and what is currently being looked at by projecting the line of vision out and crossing it with the 3-D view from the camera.